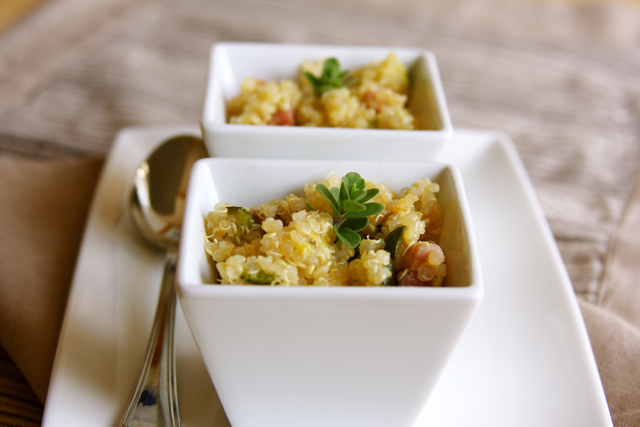 I am unfamiliar with quinoa (pronounced keen-wah) but had been seeing it quite a lot lately in the internet that I had to venture on my own too to find out about this seemingly healthy pseudocereal that's high in protein. It is not available in the regular supermarkets so I found it in a gourmet shop with food from across the globe in the next town. My quinoa box traveled all the way from Bolivia. After a hectic weekend of children's parties & picnics, a hiatus from cooking would have been a treat. I was just thinking of preparing a simple pasta of parmigiano reggiano (Italian parmesan cheese) & extra virgin olive oil that both my kids love, but my one-year old slept before lunch. When she dozes off at that time, I usually savour the tranquil in the kitchen and enjoy whipping up something without being rushed by hungry kids. I was deliberating whether to stick to my original plan and relax while she's sleeping or devote the only quiet time of the day tiring myself out in the kitchen. I was delirious. I chose the latter. It's because I opened the refrigerator. When I do that, I get stuck. I quickly scanned what contents are in dire need to be eliminated. Nothing. In the freezer, my eyes landed on a piece of recently frozen emergency veal fillet that I had been saving for my one-year old in case I cook something she cannot eat. Then I saw a package of frozen peas. The prospect of getting that rest is shelved. 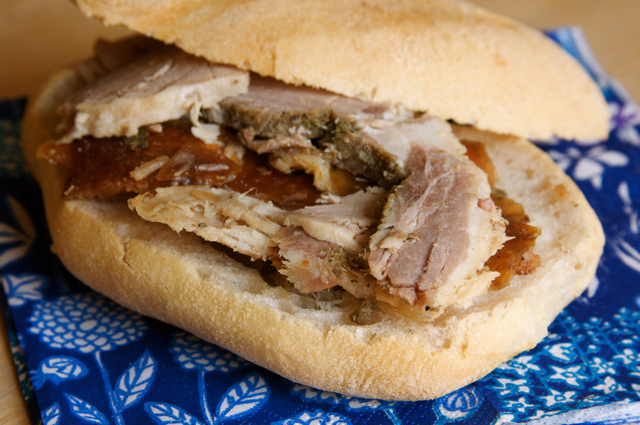 When you think of Ariccia, you think of porchetta and viceversa. In fact, that's exactly what crossed my mind when I thought of visiting the town. Porchetta is the iconic traditional pork specialty of central Italy, especially the towns of Ariccia of the region of Lazio and Norcia of the Umbrian region. It's a savoury roasted whole pork, deboned, and stuffed with an abundance of salt, aromatic herbs, garlic & pepper. 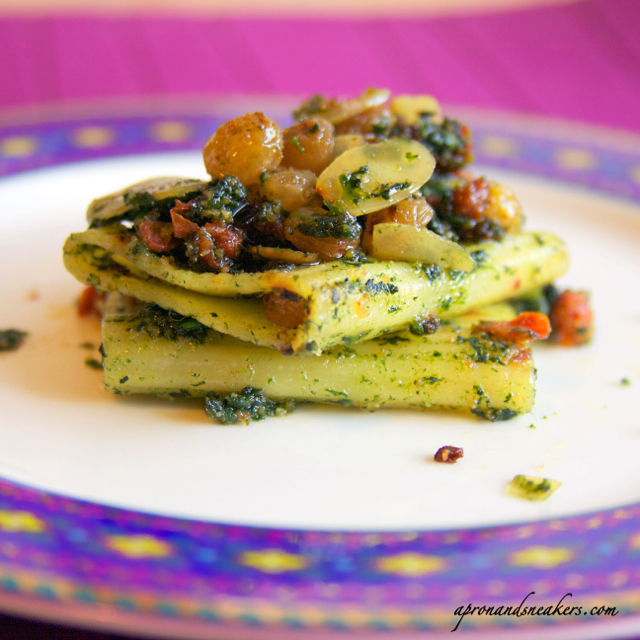 It can be eaten as a main dish or served in a panino or sandwich. All over central Italy, you can find white food vans selling porchetta. I was recently contacted by Mycitycuisine to help look for contributors for their project. It speaks about the traditional foods from different cities and countries all over the globe. 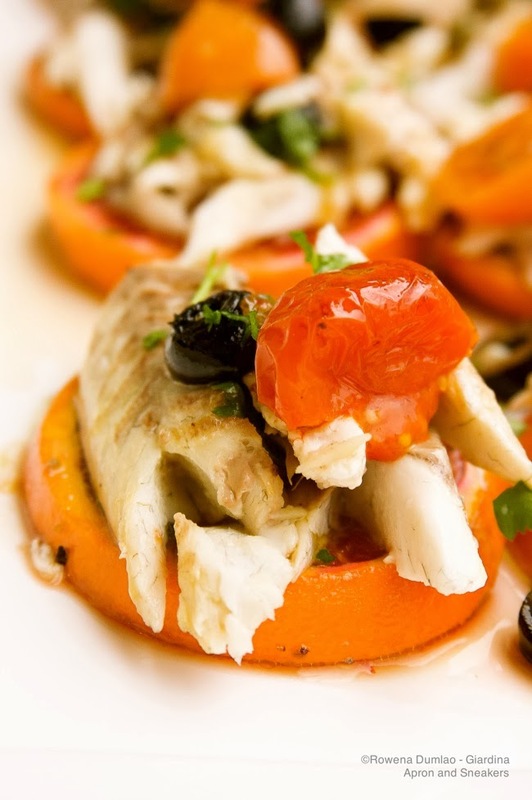 It's a fundamental source of gastronomical information that every traveler needs. My connotation of traveling is exploring the sights & local kitchen of my destination. Getting information about the sights is fast & easy but acquiring basic knowledge about what culinary treats a place has to offer entails too much time searching for food suggestions at myriad sites, wondering if they are even reliable. Mycitycuisine solves all these with one click. So if you have something to contribute about a local gastronomy, wherever that might be, join in and make this project grow. Find out how and share your knowledge. 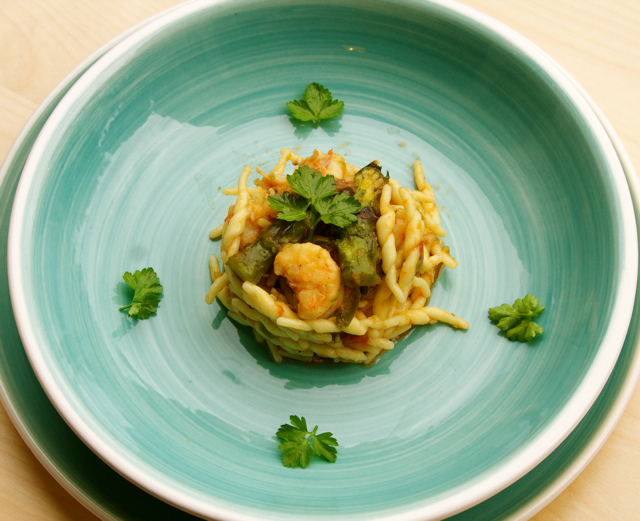 "MyCityCuisine is a wiki project. Its goal is to help travelers discover the local food from around the world. Food has always been an integral part of the local culture so, naturally, tasting local food is often high on most traveler's to-do lists. However, until now, there was no single comprehensive source providing this particular information for cities around the world. "What should I order? ", an inevitable question faced by all travelers sitting in a restaurant, in a foreign country. MyCityCuisine is a project to create a free, reliable and up-to-date guide to the most original and tasty local foods from different countries of the world. This is an open project, so we encourage everyone to contribute to it." When I mix too many ingredients together, it can mean that I am running out of creative juices. 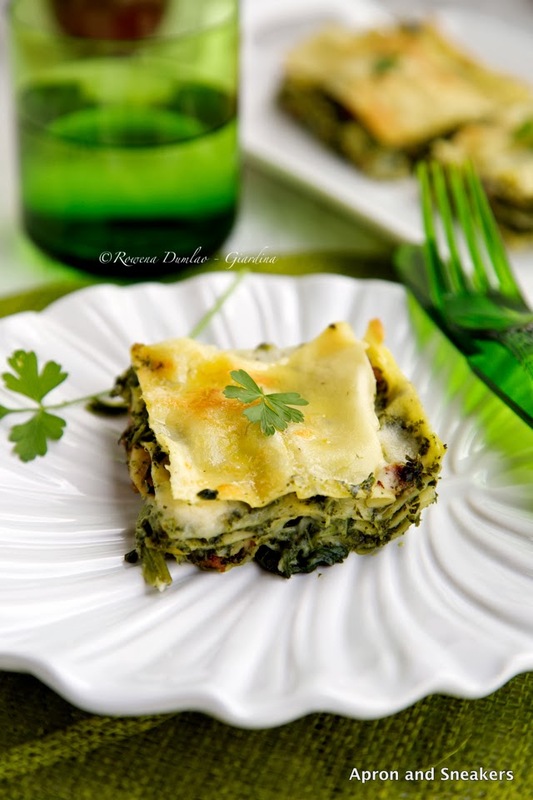 My main objective in this recipe is to deplete the new big bag of spinach that has sprouted in my refrigerator. My husband has been taking home colossal packages of greens lately. And with those packages, he bequeaths to me the problem of cooking them all up within a couple of days. It's not easy when you have two kids who have an aversion to eating leftovers. Even if they loved the food I served in one meal, they will instantly give a duad of whines & complaints when they see a repeat. 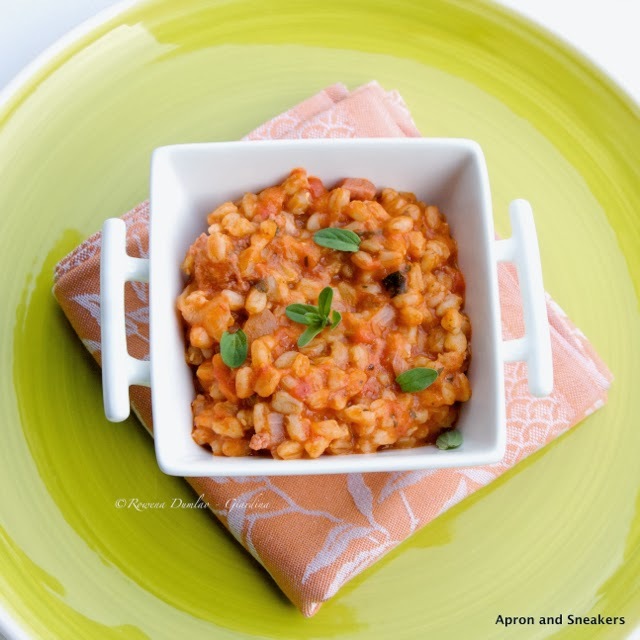 After using the lavender flowers with the strawberry risotto, I was totally stimulated in using them again for another dish. I wanted something sweet this time. My eyes landed on my kids' remaining pears in the kitchen fruit bowl. They are their fruit of the moment & the only kind they recognize apart from the occasional strawberries that we buy. 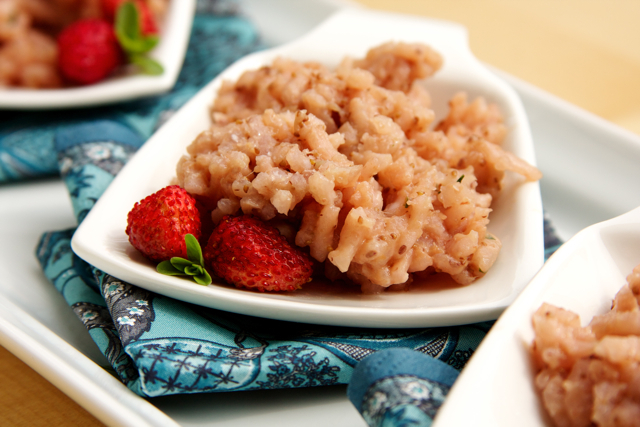 Immediately after trying the wild strawberry & basil risotto, I had the urge to do this classic strawberry risotto. I added a twist of lavender flowers seeing that my plants are full of novel flowering buds. 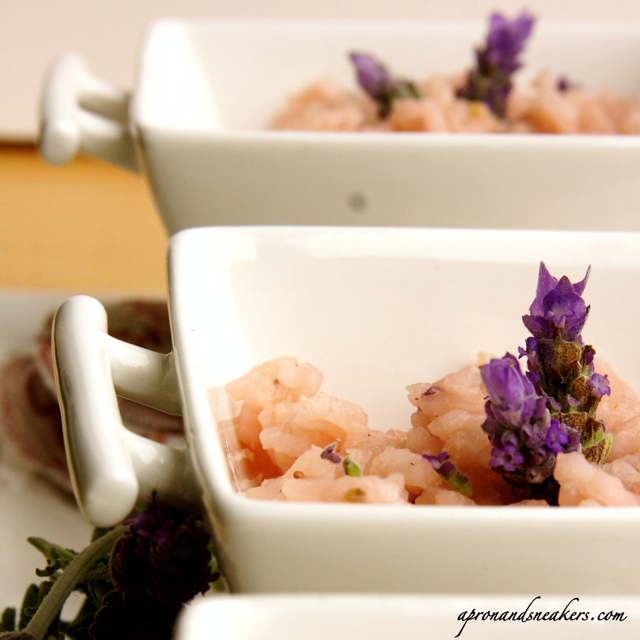 Cooking the two main ingredients together created an intoxicatingly wonderful scent of spring in the kitchen. It made me yearn for the warmth much more than ever. The weather is warmer, the sun is always shining and no one has been sniffling for a week now. Our winter hibernation is coming to an end. 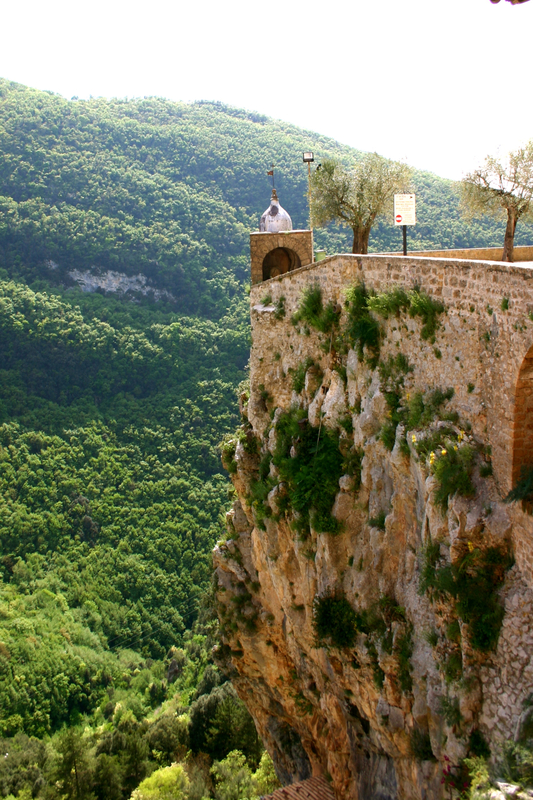 The prospect of seeing the town of Nemi pulled us out of our torpidness. It is about 40 kilometers away from Rome and overlooks Lake Nemi, a volcanic crater lake. I like my pasta cooked al dente and strozzapreti is a kind that never fails to maintain the firmness I look for. For that reason, I can be quite strict in following the number of minutes in cooking any kind of pasta. One of my indispensable companions in cooking pasta is the timer. To be truthful, I find it irksome to keep on checking the pasta every minute to check if they're already cooked or not because I burn either my fingers or my tongue. Broccoli rabe is called cime di rapa or broccoletti in Italian. It is most represented by the Puglian region of Italy and best known with their local pasta dish orecchiette con le cime di rapa. I have a longstanding dislike of bitter vegetables but this one threw me off. It is actually not that bitter, just a very slight trace that sometimes leaves you in wonder if the acridity was actually there. 17 March 2011 marks the 150th year of Italy as a united country. In commemoration to this, my husband, my son & I each have our designated assignments. My husband prepped our son about the country and its unification as requested by his teacher. My son made an Italian flag. While I prepared the most classic of all Italian dishes - the tomatoes, greens (arugula, lettuce or basil) & mozzarella salad. 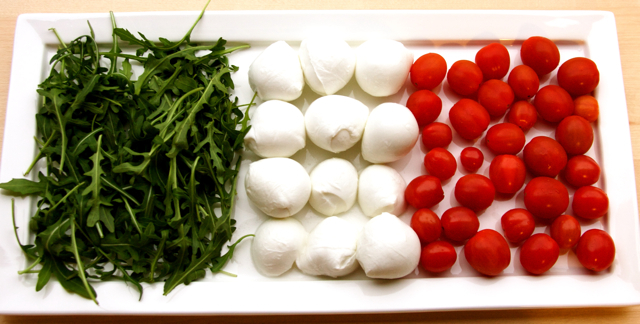 The three colors of Italy. Green, white & red. I thought that integrating cereals to my kids' diet would be a difficult task but I was proven wrong. My kids eat them with relish and my picky 5-year old even excitedly runs to his place in the table when he sees that I cooked cereals. I cook farro (emmer wheat) almost like how I cook barley with very slight differences but for now I will discuss farro. When I cook fish, my hands move faster than my brain. I automatically grab a handful of cherry tomatoes, a pack of olives, a bottle of capers, a bunch of parsley, a bottle of extra virgin olive oil & white wine. These ingredients have permanency in my kitchen. They go very well together so the aspect of thinking is not a requisite. 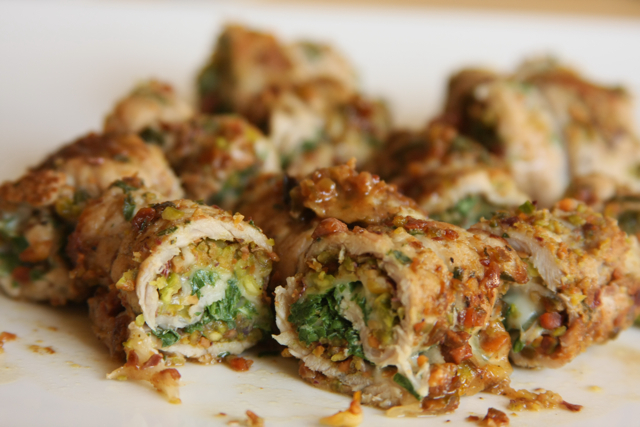 You can make this recipe after making the Veal Rolls with Marsala, Pistachios & Arugula because the meat I used here are the strips that were taken away from the rolls to make them perfectly straight. There are a lot of possibilities but this came to mind quickly because the ingredients are on hand. 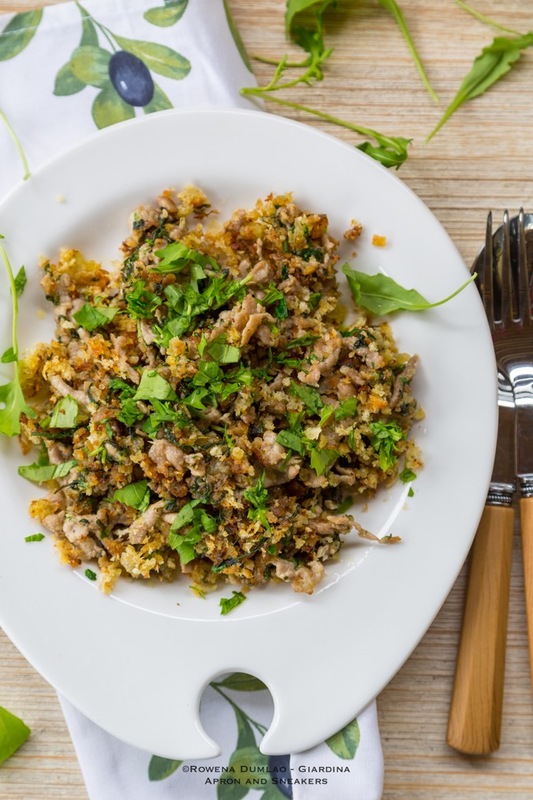 Of course, you can make this recipe too without relying on leftovers from the other recipe. While waiting for my turn to order at the butcher's, I scanned the prepared meat on display. I spotted a batch of beautifully assembled skewered meat with very green veggies, cheese & breadcrumbs. Upon closer look, I saw that the veggies were arugula. The spiraled arugula & veal inspired me to make some veal rolls of my own. I added some unplanned veal to my list and asked the butcher to slice them as thinly as possible. Doing my mental checklist, I have fresh arugula at home & pistachios to replace the bland breadcrumbs. 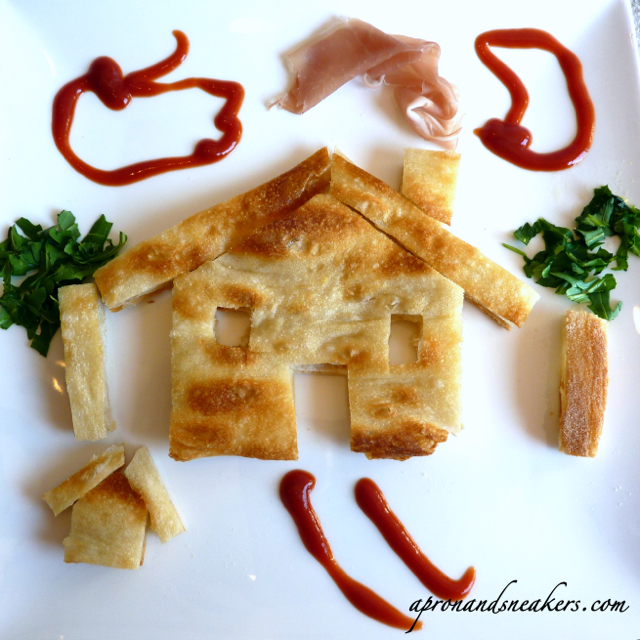 I recently discovered two blogs of moms who prep up their kids' meals just like I do, namely Cute Food For Kids and Crafty Moods. Unanimously, we try to win our kids' appetites by arming ourselves with cookie cutters, edible knick knacks & a lot of creativity. I concocted this recipe about a decade ago in the Swiss Alps. 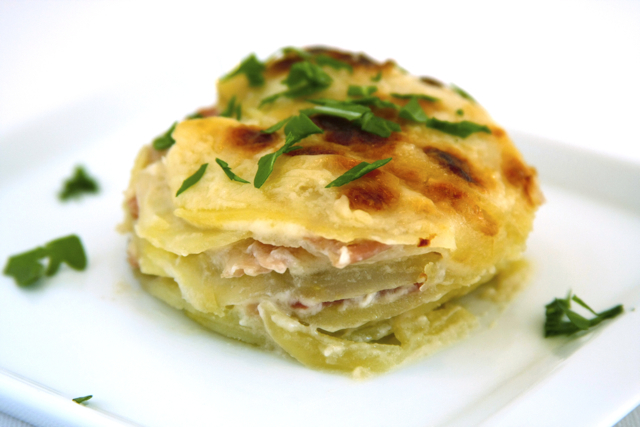 After having an unforgettable potato gratin in a restaurant, I had to recreate it for lunch in our rented chalet the following day. I wasn't able to replicate the precise taste but I think I was able to come up with something delightfully good. 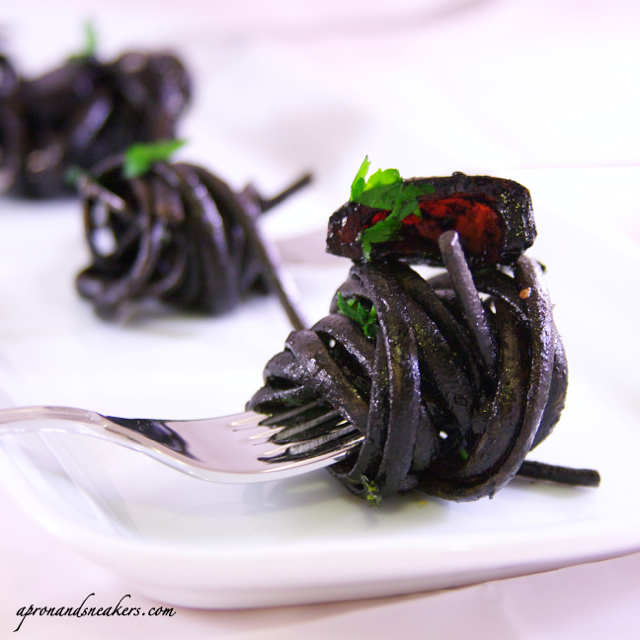 Everytime I serve this to the parties at home, this dish gets depleted fast. Serve warm when the cheeses are still oozing out. Just thinking about it makes me want to do this dish again! When I saw the salt with dried rose petals, I immediately knew where to put it. It was like the missing piece to a puzzle. 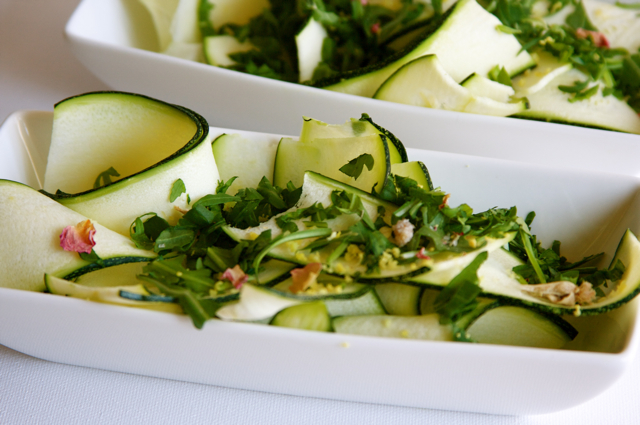 I have been ruminating lately about trying out a fresh zucchini salad but I wanted something delicate that can go with the seemingly fragile taste of raw zucchini. The rose petals & lemon zest topped with lemon flavoured extra virgin olive oil made the simple salad complete. It was very summery & light. I had been waiting for a summer break in winter. I never thought potatoes can be mixed with chocolate and be considered as a cake. It was just an idea that at first seemed absurd but as the recipe took shape, I was amazed at the result. It was excellent! You don't even realize that what you're eating is actually mashed potatoes. There is no trace of its taste at all. The Monastery of St. Benedict from the road. 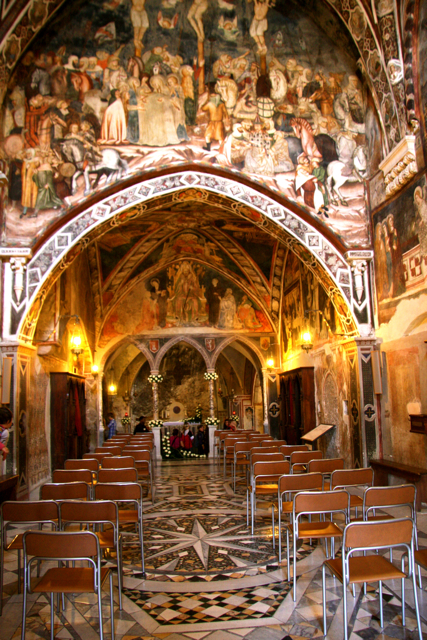 If ever I am asked which church is the most beautiful I have been to in Italy, I would have a difficulty in replying because in every church I have visited, I always leave wide-eyed in awe with its beauty & history. There is a conservative average of 3 churches (this is based on my own mental statistics) per town, even if the town is just a few streets big and the population is less than 200. 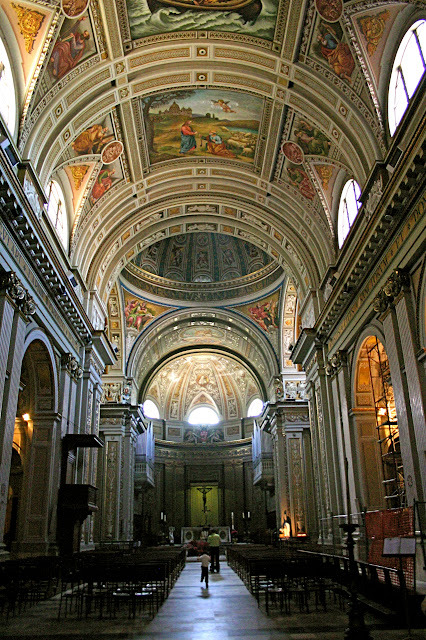 I have been to more than a hundred towns & cities here so that would make about 300 churches at the minimum. At some point, I ask myself, don't they already look the same after seeing one after the other? My memory is not something to be proud of but I remember most of the churches vividly. 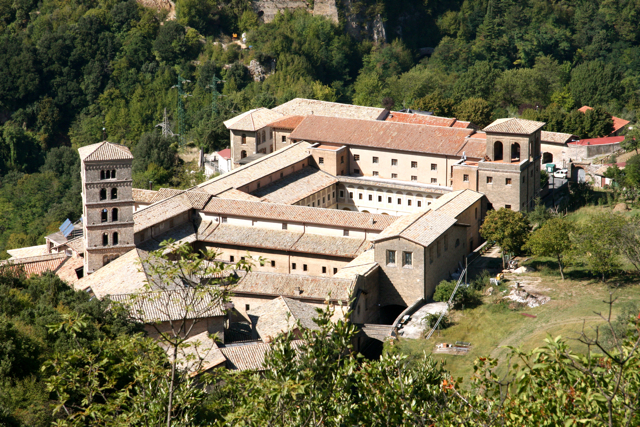 The Monastery of St. Benedict is one of them. It is one of the most beautiful & peculiar churches I have ever seen. 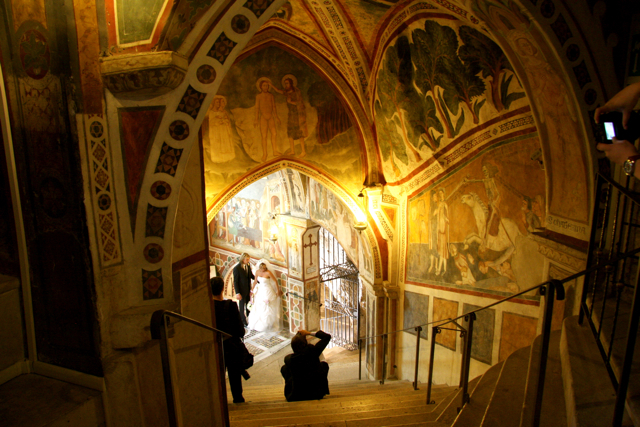 Founded around year 500 by St. Benedict, the church was carved in the mountain, covered with frescoes & comprised of different levels. 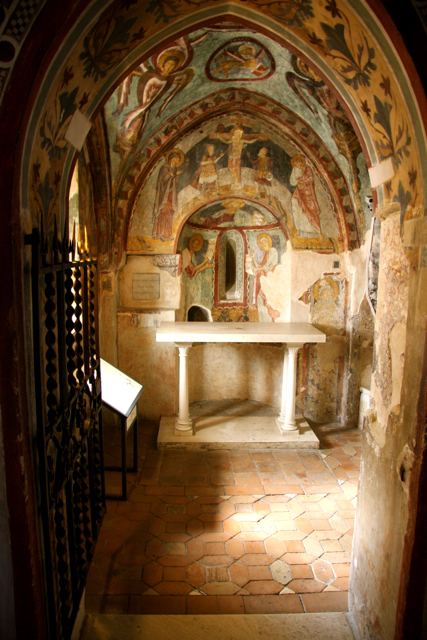 There are actually two churches inside with several different chapels, all built in different periods, the last of which is from the 14th century. 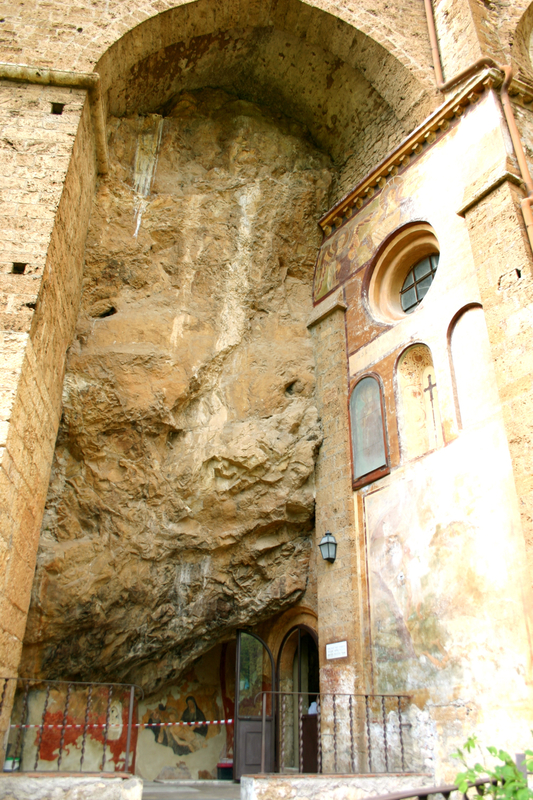 Another monastery nearby is the Monastery of St. Scholastica, who happens to be St. Benedict's twin sister. Two saints in one family. Amaranthine calm in their household. Fortunate parents. 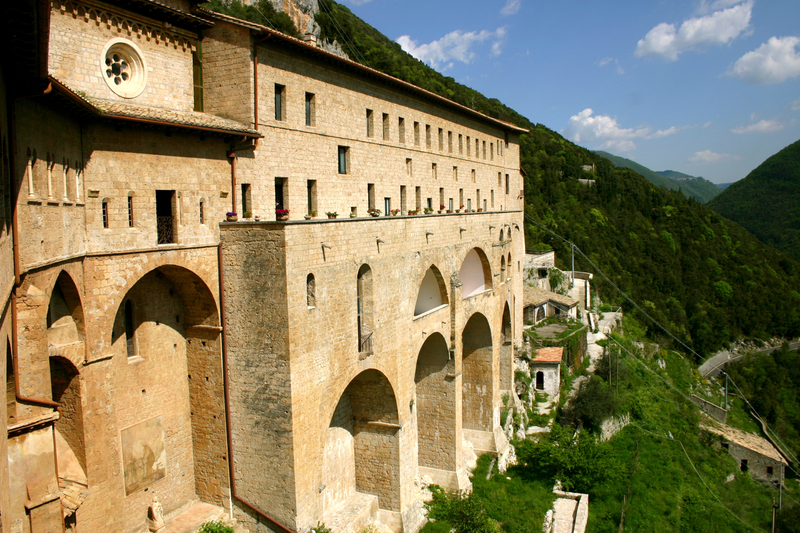 While in Subiaco, St. Benedict founded twelve small monasteries. 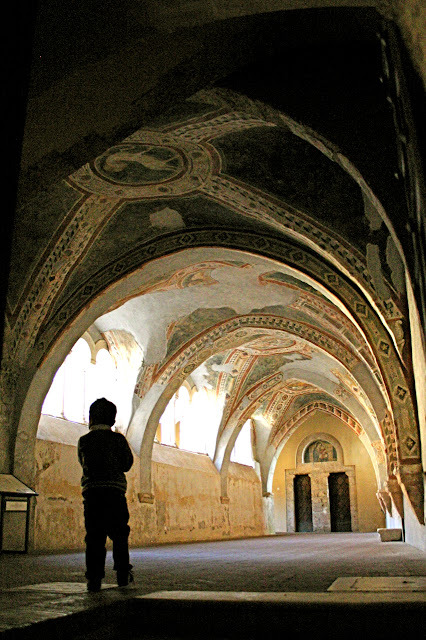 Among these, the Monastery of St. Scholastica is the only surviving one and is considered the oldest Benedictine monastery in the world. 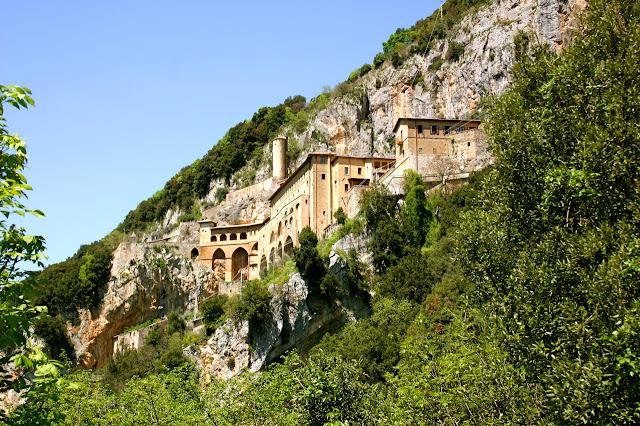 These monasteries are located just outside the town of Subiaco, some 80 km. away from Rome. 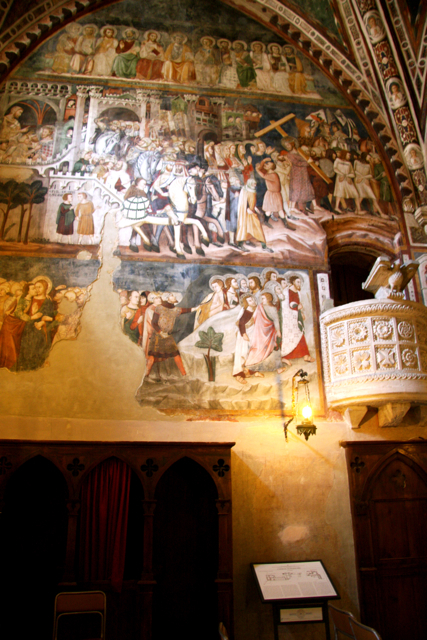 With the introduction done, you can continue reading about it in their site at the Benedictine Monasteries of Subiaco. The Monastery of St. Scholastica as seen from St. Benedict's Monastery. 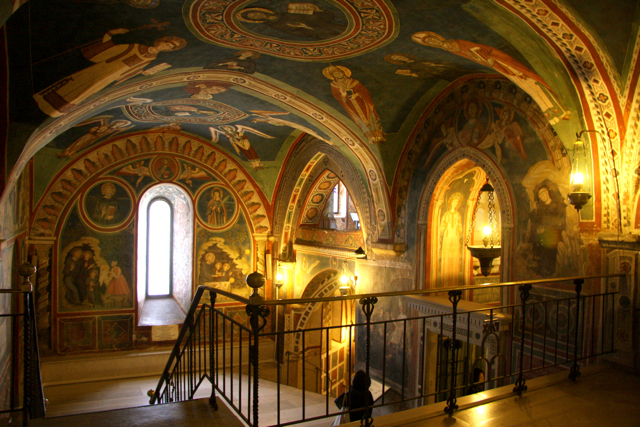 Monastery of St. Scholastica. You can't go around freely. 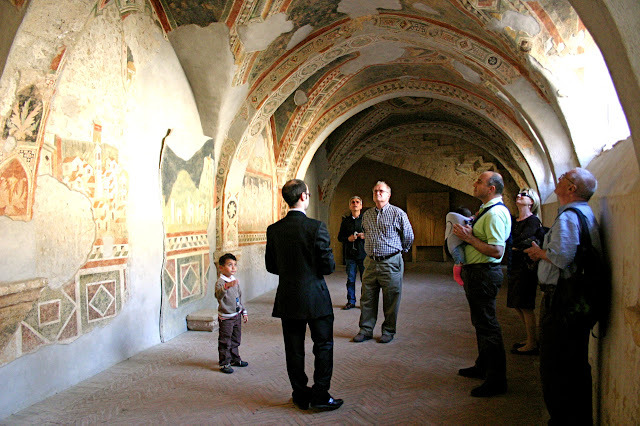 There are free tours that are conducted regularly in the mornings and in the afternoons. The co-cathedral of the town of Subiaco. The first time we went there, we bought our lunch in the town's delicatessen and had a picnic. 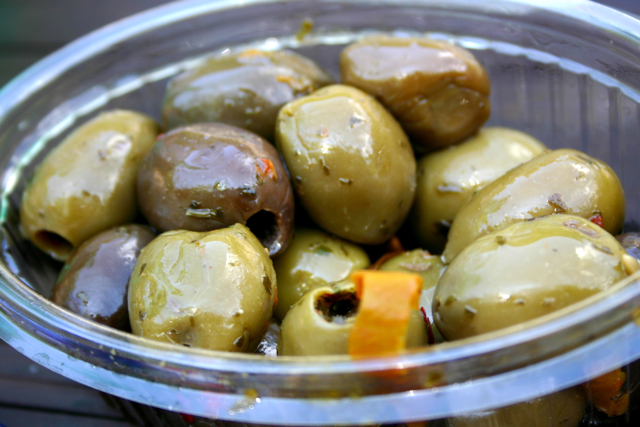 These are typical olives with spicy (not so much though because our son can eat them) condiments. 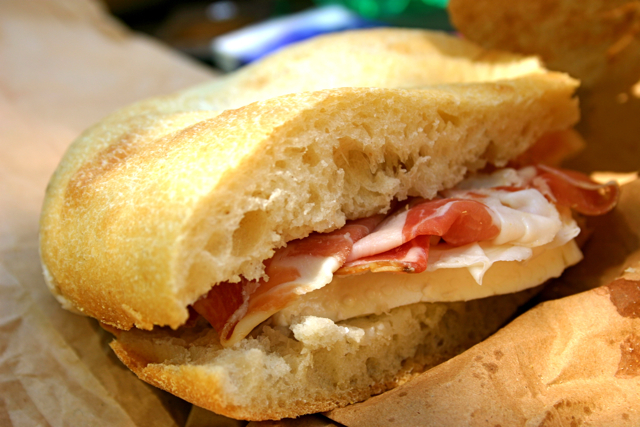 A panino (sandwich) of prosciutto crudo & cheese. A cake called salame del re (salami of the king). 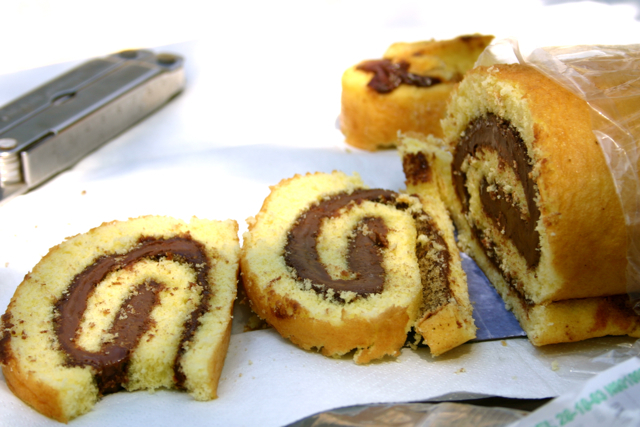 It's a sponge cake roll with a hazelnut-chocolate spread, similar to Nutella. 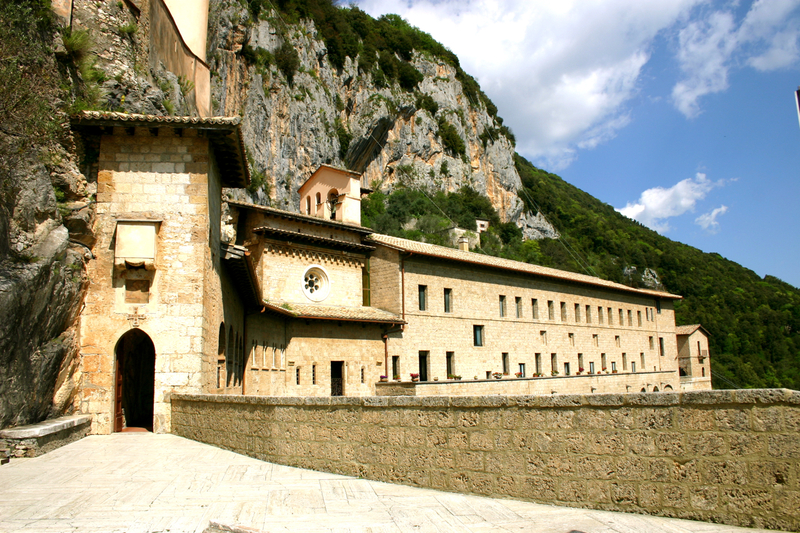 On our second visit there, we tried the recommended restaurant of the Monastery of St. Scholastica. Their daily full menus are fixed so don't try ordering something else when you are inside. 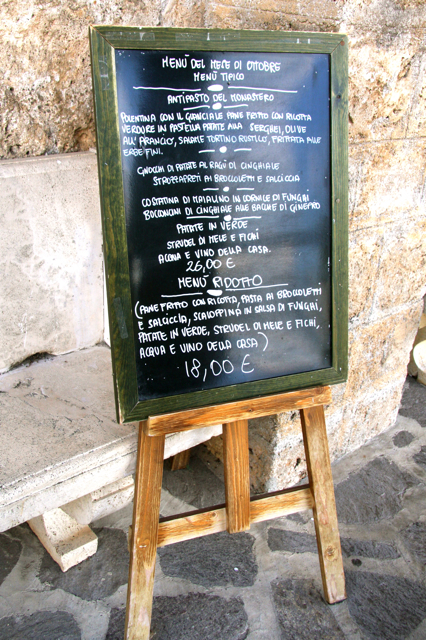 The menu is composed of appetizer, pasta, main course, side dish, dessert, wine & water. The food was basically good. 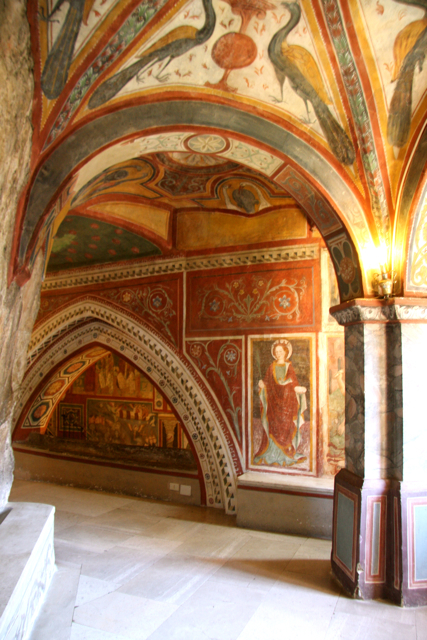 The restaurant is a part of the hotel that is housed in the premises of the monastery. Fifteen months and growing. That's my second child. Not only is she growing physically, also her appetite is seriously augmenting. With this in mind, I always give extra attention to what I cook for everyone at home because she now eats what we eat. Food should be healthy, that's why I try to avoid frying. If something needs to be submerged in hot oil, I look for the alternatives. I take out my griddle or I pop it in the oven. That way, we don't need to worry about cholesterol. Downside is, sometimes some food are just meant to be fried because they are delicious that way. 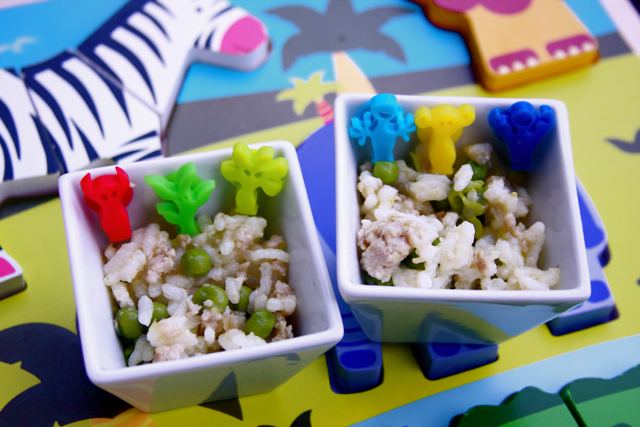 This is the third recipe in my series of sweet rice concoctions and perhaps the one I like best. The other adult critic in the house agrees too even if he is not so overly excited whenever he learns that it's sweet rice that will conclude our meal. Well, we all have our own preferences. We had to keep this dessert in concealment from our one-year old because it's mainly made with coffee and liqueur. 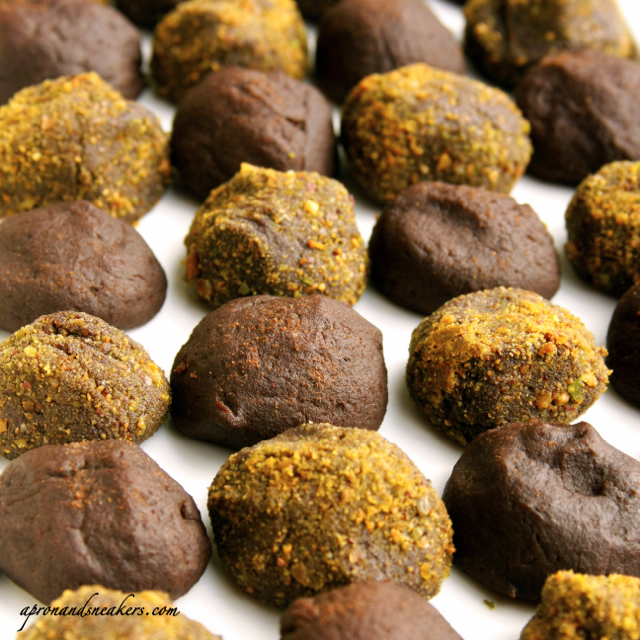 She is not known to stop munching on anything she sets her eyes on in the kitchen and to see us eating this yummy looking chocolate dessert would just devastate her. Our five-year old, on the other hand, was able to convince us for a few teaspoonfuls of it garnished with an exaggeration of chocolate chips. The Italian pre-Lenten festivities called Carnevale will end tomorrow, Fat Tuesday or better known as Mardi Gras. In Italy, both adults & children celebrate it but the kids are more immersed in the conviviality because they can prance around in their costumes and throw the coriandoli (confetti) & stella filanti (streamers). I would say much to the dismay of the adults who have to clean the houses & the streets. It takes months for the last traces of the coriandoli to disappear. Then the new celebration starts again. Oh well. At present, I am still picking up coriandoli everywhere in our house. And these are just what my kids took home stuck in their clothes from the celebrations in the streets. I was never really so involved with the Carnevale festivities before having kids. I just enjoyed seeing girls brandishing their princess & fairy costumes, sometimes even fully made-up, the superhero boys in saltation & the flower or bee costumes with babies inside. Because I am writing about this, I wondered about its history and origin. You can stop reading from this point on. It can get boring. I thought that it originated in France, having a French name, but I was wrong. It actually originated right here where I am, in (Ancient) Rome! While browsing some sites about it, I settled on the History site for enlightenment. This celebration has been going on for thousands of years and traces its roots to the pagan celebrations of spring & fertility called Saturnalia & Lupercalia. It was later integrated to the Christian faith when Christianity arrived in Rome because it was easier to do so than to abolish it. Then it scattered in Europe. It arrived in the U.S. in 1699. In modern day, the most extravagant & popular is the Mardi Gras in Rio di Janeiro. Traditionally, this is the period when people indulge in meat, eggs, cheese, and other fatty food in preparation for the coming Lent, with Tuesday being the last day. Thus, the name Fat Tuesday or Mardi Gras. In medieval Latin, carnelevalium means to remove or take away meat. Here are some photos of the Carnevale along with the typical Italian cakes eaten during this season. Every region in Italy has its own version of Carnevale cake. Dolci di San Giuseppe (cakes of St. Joseph) filled with cream & chocolate. These cakes are out from this period until St. Joseph's Day on the 19th of March, when Italy celebrates Father's Day. 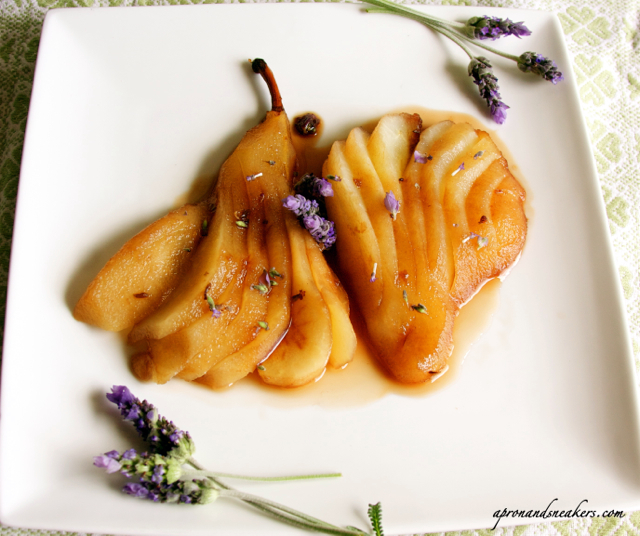 Sicilian sfinci drizzled with honey. Since you can only get this in Sicily, my husband's aunt made these.